This one is a bit tricky. So bear with me. I do not permit a woman to teach or to exercise authority over a man…. (ESV). I do not permit a woman to teach or to assume authority over a man…. (NIV). So, which is better? Which is more correct? To “exercise authority” or to “assume authority?” The first has a rather positive view of authority. The second? Well, I am not sure. It could be “assume authority” in the sense of what is rightfully yours to have. In other words, “authority” is a good thing. However, it could also mean to “assume authority” in the sense of what is not rightfully yours, to “have your own way over somebody else,” by force or trickery perhaps, something that is quite negative. Either way, Paul does not want a woman to possess that kind of authority, whether that kind of authority be positive or negative. But which kind of authority is it? Positive or negative? If it is positive, then that pretty much rules out any legitimate case whereby a woman can have authority over a man. If it is negative, then it means that a woman should not exercise authority in a wrong, or otherwise overbearing manner. But is the reverse true, that there might be a case where a woman is permitted to exercise authority in a good and positive way, over a man? Why is this idea of authority, so…. well, uh…. vague, when you compare these two translations? As it turns out, the Greek word behind our English “authority” is this controversial word: authenteo. It looks sort of like the word for “authority” in English, but when the Bible normally talks about “authority,” in the most positive sense possible, you find different Greek words, like exousia, that clearly has a positive connotation, and exousia is used multiple times in the Bible. 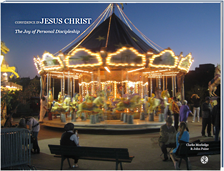 But when it comes to authenteo, many Bible scholars get stuck. The reason is because authenteo only appears this one, single time in the whole of the Bible (authenteo is a verb, authentein is the noun). So, to figure out what it means, Bible scholars have to search through Greek writings, outside of the Bible, for how to properly translate it. This is where the current debate flairs up. What follows is a little tour through Bible translation history, as it shows just how difficult it has been to translate this unique word. This might be a bit difficult to follow, so do not stress out too much, if you get lost here. This is mainly a prelude for something that needs to be said, towards the end of this post…So you can just skim down towards the end, if you find yourself scratching your head too much…. 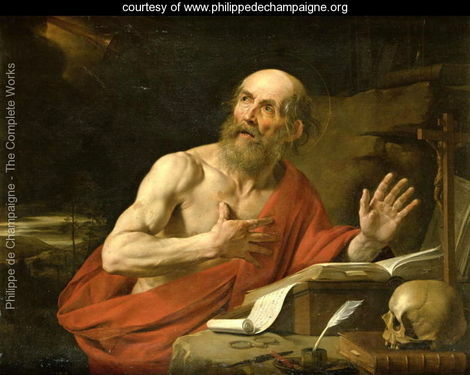 Saint Jerome (347-420 A.D.). Translator of the Latin Vulgate. Back in about the late 4th century, the early church father and Bible translator, Jerome, used the Latin word dominare, when translating this word in this verse, in the Latin Vulgate. The Latin Vulgate translation has pretty much been the most well-known and authoritative Bible translation in the Western world, until the time of the Protestant Reformation, and has remained highly influential among Roman Catholics, until the last few decades. In the Latin Vulgate translation of 1 Timothy 2:12, this dominare typically has a rather positive meaning, as in to “exercise authority,” though in some admittedly limited contexts, it has a negative meaning. But I suffer not a woman to teach, nor to usurp authority over the man… (1 Timothy 2:12a KJV). In other words, Erasmus, and consequently, the KJV translators who followed him, gave us a translation that delivers a different sense of the meaning of the text. Many would say that “authority,” rightly belongs solely to the man. Therefore, for a woman to make a claim of “authority” would be an usurpation of true and proper authority. Okay. So, what does this word authenteo really mean? You would have to go back further than either Erasmus or Jerome to figure that out, back to the world of the New Testament, as close as possible. Unfortunately, the examples of its usage in classical Greek texts, within a few hundred years of when the New Testament was written, shows a wide variety of meanings. I do not permit a woman to teach or to murder a man…. Wow! That is pretty pejorative!! I am so glad that Paul would condemn that. Well, the context really does not work for that here, but the wealth of alternatives requires biblical scholars to dig deep into finding out the most viable, responsible answer. Complementarian and egalitarian scholars, who know Greek literature of the New Testament period and surrounding, land on different sides of the debate, once they have done all of the lexical analysis. The discussion among scholars in recent years appears to be favoring a complementarian approach, though egalitarians beg to differ. 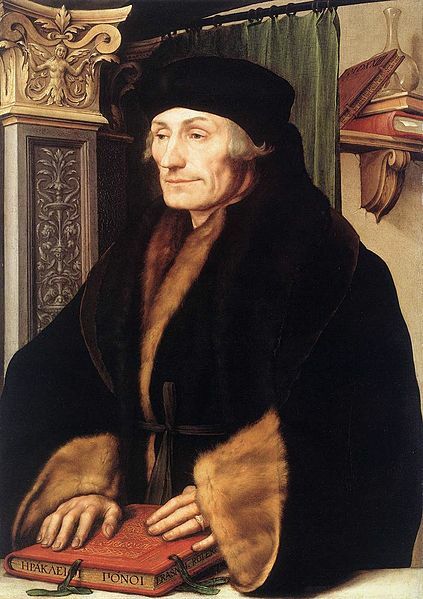 The egalitarians think that Erasmus largely got it right, but that Erasmus did not go far enough in demonstrating that authenteo/authentein is primarily a negative concept. Paul was instructing women not to usurp authority that was not properly hers. But it did mean that women can, in the right circumstances, have authority in an appropriate way. What are those “right circumstances” for us today? For most egalitarians, the same circumstances would apply equally to men as well as women. A lot folks are probably somewhere in between. If you got lost following anything above, you can tune back in now…..
Let me take a moment to get to the real meat here, and highlight an illustration that parallels something I said in the previous blog post about “teaching,.” This is something that really needs to be focused on, for complementarians to think about, and for which might help some egalitarians out. It has to do with what follows 1 Timothy 2, for in 1 Timothy 3:1-7, Paul specifically lays out the qualifications for elders, or overseers. It would be reasonable to conclude that what Paul means by “authority” in 1 Timothy 2:12 has to deal with the office of elders, or overseers, and not just about any joe-shmo guy who strolls into church any Sunday morning. Yet some complementarians believe that 1 Timothy 2:12 argues that women should not be in any church leadership position, where they might be giving direction to a man. It does not matter who this man is, nor who the woman is. This reasoning assumes that such leadership implies the exercise of “authority,” which would be pretty much along the same lines as the idea, that women should never be in a position, whereby they are “teaching” in a mixed setting; that is, when men are present. If the field commander does this, he could be charged with insubordination, and acting on his own authority. But if the field commander follows the instructions of the general, and takes the north hill, then that field commander is not acting on his own authority, but rather on the authority of the general, the field commander’s elder. Likewise, if a man or woman in church leadership, who is not an elder, acts in a manner contrary to the teaching and/or authority of the elders, then that man or woman is acting on their own authority, and should be disciplined. However, if that man or woman in church leadership, who is not an elder, executes their talents in a manner consistent with the authoritative direction of the elders, then they are acting on the authority of the elders, and not on their own authority. Is this not true? I know many complementarians who might argue against the point of my illustration, but it might be worth rethinking their objection. If it is the elders, who ultimately hold the spiritual authority in a local church, then should we not be grateful for those men and women who faithfully serve under that spiritual authority, with their many gifts and talents, and leadership gifts? To assume that a woman, who is being faithful as a leader in the church, under the authority of the elders, is somehow acting out on their “own authority,” whenever men are present…. well…. that just seems like a really strange way of reading 1 Timothy 2:12. Can someone convince me otherwise that I am in error? You see, this stuff can get really complicated, which is why we need to show a lot charity with one another in our discussions. Over the last few blog posts, we have examined three of the most difficult words in just one verse, 1 Timothy 2:12. But the real clincher, depending on how you look at it, deals with why Paul makes this statement, in this verse. We find his reasoning in the following few verses of this passage, which we will examine next time…. This entry was posted on Thursday, March 21st, 2019 at 6:30 pm	and tagged with complementarian, egalitarian, erasmus, jerome, vulgate, women in ministry and posted in Topics. You can follow any responses to this entry through the RSS 2.0 feed. « The 1 Timothy 2:12 Conundrum: I Do Not Permit a Woman to TEACH…..
Offline, I have received some criticism of my claim that Paul’s understanding of teaching authority in 1 Timothy only applies to the office of overseer (or elder). Critics of my view contend that Paul’s prohibition against women teaching applies, not only to all times and all places (as opposed to an egalitarian view, that limits the prohibition to the particular situation in Ephesus), but it also extends across all of levels of Christian community. In other words, Paul’s prohibition against women teaching in 1 Timothy 2 is disconnected from his teaching from his teaching on overseers in 1 Timothy 3. I recognize that this objection is a commonly held view, primarily by teachers like John Piper. But in agreement with Andrew Wilson, Piper’s argument makes a number of assumptions, without demonstrating the validity of those assumptions with actual evidence to support it. (a) the first assumption is that 1 Timothy 2:12 is specific directive that must be used to interpret the rest of Scripture. While 1 Timothy 2:12 is a normative prohibition, not a culturally conditioned one, one needs evidence to support the assertion that 1 Timothy 2:12 presents a specific directive that must be used to interpret other parts of Scripture, that do not share the same grammatical context of 1 Timothy 2. Nevertheless, the universal character of 1 Timothy 2:12 is still binding, but Paul must then explain why it is. In other words, Paul cites evidence to support his policy. Paul is not merely offering a directive, without any contextual reasoning behind it. Unless we understand the full nature of the contextual understanding behind 1 Timothy 2:12, we risk misapplying this to the rest of Scripture. Onward to the next point. (b) the second assumption is that 1 Timothy 2:12 includes a logical reasoning, that is followed in 1 Timothy 2:13-15. This is correct in that Paul is making an appeal towards the narrative of creation, fall, and redemption, as explained from a prior post in this series. However, the assumption goes on in asserting that Paul ends his reasons for giving the prohibition, at the end of verse 15. Therefore, the conclusion is that in 1 Timothy 3, Paul is changing subjects, when he begins to address the topic of overseers. I will show that this assertion is a logical fallacy because it begs the question. This grammatical force of this little word “for” indicates that everything in the following passage is used to support the reasoning for the prohibition. But where does the following passage end? Piper makes the assertion that the passage logically ends at the end of 1 Timothy 2. Paul picks up a new thought in 1 Timothy 3. The problem is that there is no grammatical evidence to support this assertion. Yes, we do have a sentence break. But a sentence break does not indicate a change in the presentation of a logical argument. Yes, we do have a chapter break. But the chapter divisions we have in our Bibles today were introduced in the 12th century, at least 1100 years after Paul penned his letter to Timothy. We can not read a chapter division back 1100 years earlier into Paul’s letter. Paul says at the beginning of 1 Timothy 3, “The saying is trustworthy: If anyone aspires to the office of overseer, he desires a noble task.” While it could be argued that Paul is changing subjects, the grammar of the verse gives no indication that he actually is changing subjects. So while the possibility is there, that Paul is changing subjects, there is no evidence to explicitly support the assertion. Instead, Paul’s prohibition in 1 Timothy 2:12 specifically mentions the concept of “authority.” It is reasonable to conclude that part of Paul’s explanation of his prohibition against women is to include a description of what he means by “authority.” Paul is not taking for granted in thinking that all of this readers understand what is meant by authority. He feels compelled to give the qualifications for what constitutes rightly held authority. By “authority” Paul SPECIFICALLY offers his teaching on overseers in 1 Timothy 3. An overseer is one who “oversees.” The one who oversees is, by definition, one who carries authority. The one who does NOT oversee does NOT carry spiritual authority. Paul then goes on to describe the qualifications of an overseer. These qualifications reflect the description that Paul and Luke elsewhere in the New Testament gives for “elders” (see Acts 19:17-38, etc.). In 1 Timothy 3:1-7, Paul gives these qualifications of an overseer, including the principle of the overseer being a “one-woman man.” This would reasonably indicate that Paul has in mind an overseer (or elder) as being someone who is male. This brings clarity to 1 Timothy 2:12, by connecting “authority” with overseer, as one who is male. Notice that one of the qualifications of overseer is one who displays the ability to teach. (c) A further objection, advanced by some, suggests that this concept of spiritual authority is extended towards others in the Christian community, not just overseers. Again, I will show that this assertion is a logical fallacy that begs the question. There are several problems with this assertion. First, it assumes that in addition to overseers, there are others in the community, who not overseers, who nevertheless “oversee” with the spiritual authority reserved for men. But the logic to such thought in nonsensical. For if all men in the Christian community bear spiritual authority, in terms of the local church ecclesiology, then all men would be overseers. But all men are not overseers. Only overseers are overseers. Those who are not overseers are not overseers. The logic is pretty simply, but it escapes many. (d) As a corollary to assertion (c), some objection that deacons also bear spiritual authority, just like overseers do, but in some lesser capacity, perhaps. The problem with this assertion is that Paul gives us no evidence to indicate that deacons bear spiritual authority. By the very nature of the word, “deacon,” it specifically means “servant.” Someone who assists or serves the elders or overseers is a servant, or deacon. That is what the word “deacon” means. This is why Paul goes on in explaining the qualification for deacons in verses 8-13. First, he specifically sets out the qualifications for male deacons in verses 8-10. He then shifts to describe the qualifications of female deacons in verse 11. He then shifts back to the qualifications of male deacons in verse 12-13. Some object that the women in verse 11 are actually the wives of the deacons. Please see my previous post in this series that addresses this objection. But in summary, we must recall that Paul does not address the qualifications of overseer’s wives, so it would seem rather arbitrary for Paul to mention the qualifications of deacon’s wives in 1 Timothy 3, and not the qualifications of overseers wives. Also, there is no requirement for deacons to be married. We have no evidence to support the assertion Phoebe, mention as a deacon in Romans 16:1-2, was ever married. Furthermore, we have evidence from church history that male and female deacons were not always married. More likely, Paul includes what he includes for a reason, not because of some random decision of “I will include this, but not that.” The reason why Paul includes a brief description of female deacons is to demonstrate where women can operate in the life of the church, without bearing the spiritual authority that only overseers can have. This is logically consistent reading of Scripture, and it does not threaten to conflict with Paul’s teaching elsewhere, as in Colossians 3:16, that all members of the church, which would include men and women, are instructed to “teach” one another in the context of corporate worship. This would indicate that the type of “teaching” in Colossians 3:16 is not the authoritative kind mentioned in 1 Timothy 2&3. But rather, the “teaching” of Colossians 3:16 is meant as simply the “passing on of instruction,’ that ultimately DOES come from an authoritative source, the overseer’s teaching authority. Therefore, the “teaching” of Colossians 3:16 is meant by Paul to include both men and women. 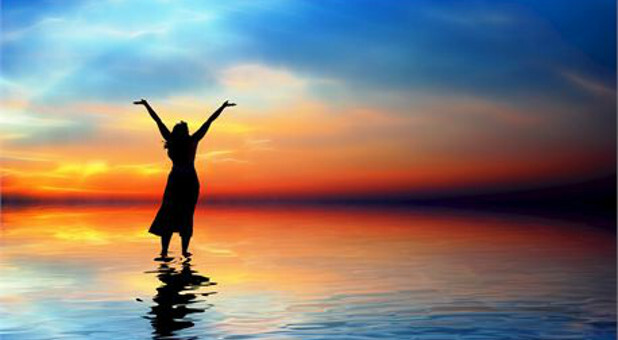 To introduce 1 Timothy 2:12 into Colossians 3:16 as a means of excluding women from their full participation in worship runs against the thrust Colossians 3, which is specifically addressed to men AND women in the congregational community (verse 18ff specifically addresses husbands AND wives in the congregational community). Other interpretations of the text are indeed possible, and within orthodox standards, but the interpretation I offer above begs the least amount of questions, and grants the simplest logical argument.